Did you know that hiring an interior designer can save you money? While the services of a professional home interior designer are an added expense to your home renovation project, it can also save you a lot of grief and money in the long run. In this blog post, we will go over the benefits you stand to gain by welcoming an Oakland County interior designer into your home improvement team. The cost to hire an interior designer is far less than what it would cost to fix remodeling mistakes. If your focus is on increasing the resale value of your home, an interior designer can give you the inside scoop on what remodels will add the most value. Furthermore, professionally designed homes stand out from the crowd, making them easier to sell in a competitive housing market. Since many homeowners face the grief of having their homes sit on the market for years, it may be worth your time to hire an interior designer. Interior designers know how to make your home shine so you can increase the showings and sales for your house. Without an interior designer, you’re left to research products, brands, and prices all by yourself. However, a knowledgeable interior designer will be able to help you get the best deal for your money. Since interior designers have extensive experience working with clients and contractors, they can use their industry knowledge to help you make smart purchasing decisions for materials, furniture, and other design elements. In other words, working with an interior designer can help you stay on budget and save time you would have spent on research. Many homeowners feel uncomfortable when bringing up concerns to a contractor or project foreman. However, an interior designer can act as your advocate to make sure everything is being built or remodeled according to plan. 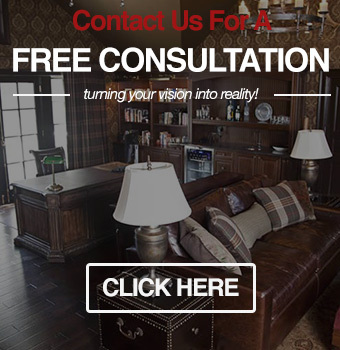 If there is a discrepancy between the design and the actual outcome, interior designers will speak up on your behalf. In addition to coordinating with contractors, interior designers are also talented at planning ahead for where furniture and other design elements will be placed in the room. For example, it may not occur to the average homeowner to think strategically about where lighting and floor outlets will be placed relative to the furniture. From their years of working with clients and contractors, interior designers develop networks of reliable home improvement contractors. This saves you time trying to find dependable contractors on your own. You also lower your risk for hiring an inexperienced or unqualified contractor who does substandard work. Interior designers are trained to think spatially, so they will be able to deliver beautiful results. These professionals have a trained eye that helps them plan out remodels and accurately foresee the results. For example, interior designer responsibilities include anticipating the level of foot traffic so they can design accordingly. 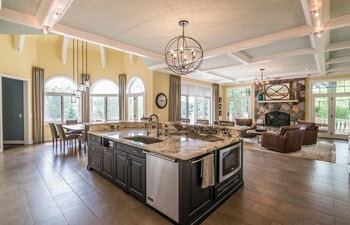 Interior designers will also make sure there is enough lighting so you can enjoy your newly remodeled space. If you are interested in our interior design services, please feel free to call our Oakland County design showroom at (248) 850-7178. The experienced Oakland County interior designers at Visionary Cabinetry & Design strive to help homeowners unlock the design potential in their living and working spaces.